Perhaps one of the best known strategy games is Chess. Chess is a strategy game where two players move game pieces with several different capabilities around a board and attempt to checkmate the opponent. Chess pieces play an important role in determining a player’s strategy. The strategy of Chess requires taking into account many different factors such as the position of your own King, the position of the opponent’s King. The number of pawns remaining on each side, what other pieces are available, diagonal trajectories toward opponent’s pieces, open squares and other elements. 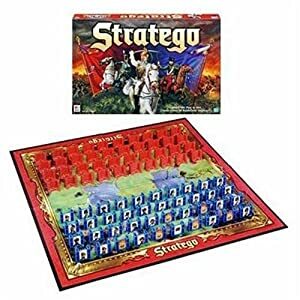 Another popular strategic board game is Stratego. Stratego. A great strategy game. In this game, two players establish an abstracted battlefield with Marshalls, Miners, bombs, Colonels, Scouts and other military positions. The goal of the game is to capture your opponent’s flag which is hidden on their side of the board. The game requires a defensive strategy which involves determining the best place to position the flag so the opponent cannot easily find it and an offensive strategy so the player can quick find their opponents flag and win the game. The game also includes the concepts of incomplete information and discovery. When a player attacks an opponent’s piece, he or she discovers the value of that piece which can help determine future moves and tactics. 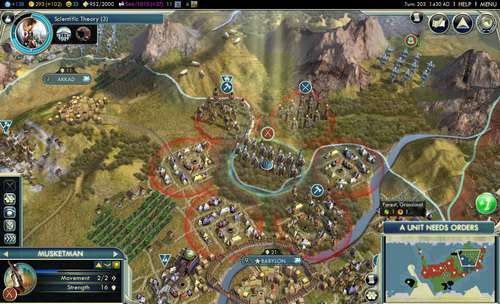 One of the best known computer strategy game is Sid Meier’s Civilization series. The game includes the concepts of strategic thinking in terms of the activities of the player which primarily revolve around exploring, expanding, exploiting, and exterminating opponents. The game offers multiple paths to victory including diplomacy, culture, economic, winning the space race and, of course, the military victory. The idea is to strategize a method of conquering the world and creating a civilization that will stand the test of time. In a gamification learning example, a learner may need to strategize to successfully complete the gamification experience. For example, a situation may be engineered where the learner needs to make a series of difficult decisions based on an economic strategy, a marketing strategy or a combination of strategies and through the learning process, decides what tradeoffs are acceptable and what tradeoff are not acceptable. You can even engineer something like the no-win situation from the original Star Trek Series called the Kobayashi Maru. The Kobayashi Maru is a test to see how starship captains react to difficult situations. The test involves a situation where a space ship, the Kobayashi Maru has traveled into a forbidden zone, the Klingon Neutral Zone and any starship attempting a rescue would be in violation of a peace treaty and be attached but if the starship captain does nothing, all the people on the Kobayashi Maru will die. The test is the decision, let the crew of the ship die or risk intergalactic war. As you are implementing gamification within your learning environment, consider the following when creating a strategy gamification event. Include tradeoffs and force the learner to make decisions based on those tradeoffs. Establish situations where the learner has to predict outcomes. Reward learners for correctly determining an opponent’s next move or decision. Reveal information a little at a time to influence and shape a player’s strategic decision making. Provide knowledge or information that can help the learner manage complexity relationships among variables. Reward learners for developing a solution that was not previously considered as a winning outcome. Strategy is one of the topics Sharon Boller and I are going to be guiding in our new online workshop through the eLearning Guild. If you want to examine how strategy can be used in your own game, join us for our online class. Here are all the details.